The Littleton Community Center (LCC) is the living historical and social centerpiece of Littleton. 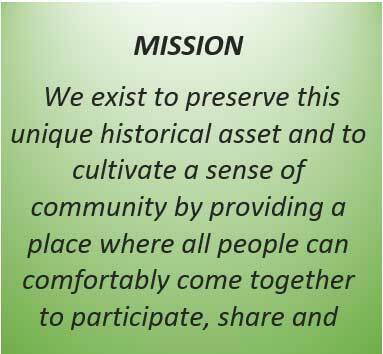 A historical property available to the public for meetings, community events, and social gatherings. The LCC is a 501(c)3 non-profit organized for the benefit of the community. Live-in hosts, Wendy and Briggs manage the day to day operations. A Board of Directors overseas the financial management, events and programming.